If I had a dime for every patient we saw that had a complaint about lack of movement, you’d be seeing me at my beach house in the Bahamas. Outside of pain, this is the number one biggest complaint we get. In conjunction with pain and movement problems, the most common way for people to deal with these dysfunctions is to….stop moving? What if I told you the best treatment for pain and limited movement is to use MOVEMENT AS MEDICINE?! For over a decade I have preached this to patients time and time again. Where most people would advocate to stop moving because something is painful, I say move within a relatively pain free range of motion. Yes, your freshly sprained ankle may be the size of the soccer ball you just rolled it on, but do you think that throwing it into a walking boot for 2 weeks is going to get you back on the field quicker? That prolonged immobility is going to lead to much larger limited movement and then subsequent compensations to get back to sports sooner than ready thereafter. I use this analogy in clinic all the time to describe this concept of using movement as medicine. We have all jammed our finger before at some point. Swells up like a sausage. Hurts to move. Makes you start thinking that you’re going to have to learn how to write with the opposite hand because you have a useless finger that is going to be three times its normal size forever. But then slowly we do what? We start to move it. It hurts a bit and is sore, but we bend it. We see how far it can go now. And little by little it moves further AND…..it starts to feel better. It’s a “hurt so good” sensation; hurts a bit, but feels good to get it moving. And as the next several days move on the swelling decreases, movement progresses, pain lessens, and before you know it you’re back to writing, dribbling a basketball, or whatever else that sausage finger was previously preventing you from doing. So explain to me again why your freshly sprained ankle should go into a boot for 2 weeks before trying to get it moving? Or why you should go on bed rest because you strained your back lifting something in the yard? The acute phase of injury, the first 3-5 days, is the most critical time to restore relatively pain free movement. That jammed finger is still going to be a little sore and achy, but it is just your body’s way of reminding you that you aren’t 100% just yet, and still to move with care. Now don’t get me wrong, if your back is seized up from moving your furniture around its not time to “get moving” by running on the treadmill or going back to deadlifts. Nor is it advisable to get right back to jumping and plyometrics for a sprained ankle or knee as your first form of movement. But, with proper evaluation of your injury and instruction in how to start moving, using movement as medicine can be better than any anti-inflammatory, pain killer, or muscle relaxer to get you going again. SHOULDER PENDULUMS – Using your good arm to support your upper body on a table or counter top, gently sway your arm in 3 directions: Front to back, side to side, and in circles, clockwise and counter clockwise. 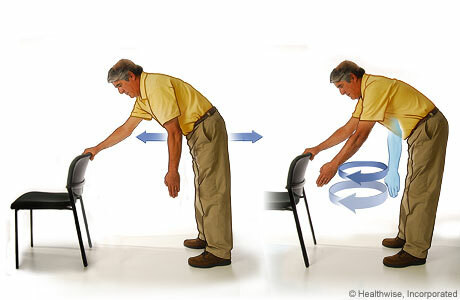 This can be done both passively, use your trunk/core to sway while allowing your arm to hang without activating your shoulder muscles, or actively, using gentle rhythmic contraction of your deltoids and rotator cuff to move the arm slowly. [PT TIP: Less is more here. If your shoulder is really that sore, you should take your time and control the movement. If you feel like you can fling your arm back and forth, you are probably ready for a more challenging movement or aren’t as restricted in the lower ranges of shoulder movement] Perform for 30 reps each direction and do 1 set. 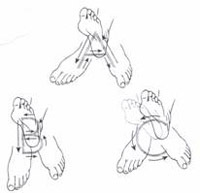 ANKLE ABC’s – Preferably performed on your back with the leg elevated if ankle is swollen, though it can be done in sitting, maneuver your ankle/foot in the motion of tracing each letter of the alphabet, “A” thru “Z”. 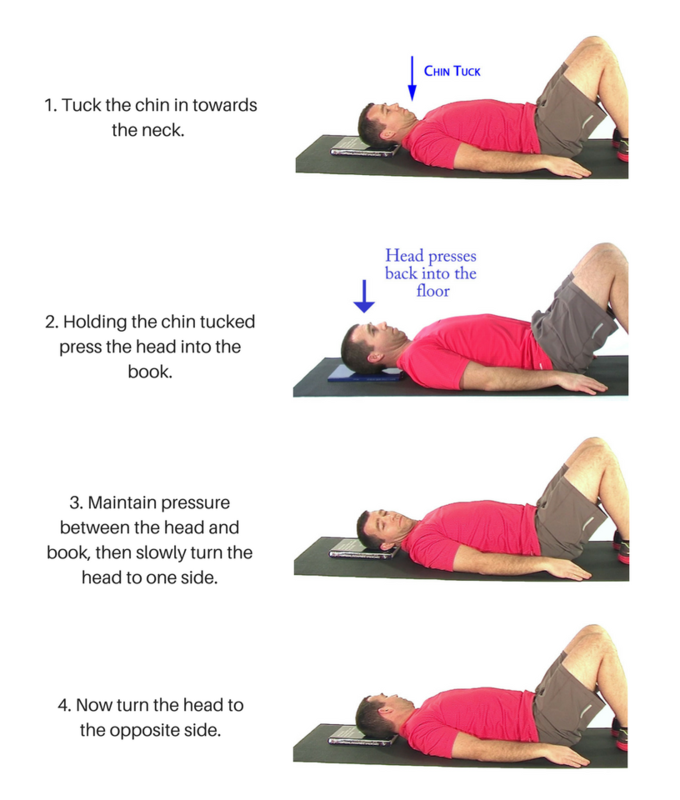 [PT TIP: This is a perfect exercise for when you roll/sprain an ankle to help restore initial movement and prevent pooling of swelling without overtaxing and injured area] Perform 2-3 times through . DISCLAIMER: Any acute or chronic injury should be assessed by a trained medical professional before instituting any exercise program to ensure readiness and safety, and reduce risk of further injury.